In many cases, homeowners will let their oil tank go unnoticed and without cleaning. They are not aware of how important it is to keep your tank clean with the proper maintenance. It is important to have a professional guide you with a maintenance plan for your particular tank. Different types of tanks can be serviced differently. Though tanks are serviced differently the main principle is the assurance that oil will continue to flow freely through the outlet pipe and nowhere else. The oil tank is just one component of an entire heating system. The flow rate and the elimination of blockages must be addressed. Failing to keep an eye on your tank can lead to leakages which can be a fire hazard and can cause environmental damage. It is a myth that oil tanks develop a tar build up, therefore, need cleaning. It is actually not the thick pollutants that are the problem. It is the lighter pollutants such as a condensation build up. When this forms within the tank water builds up on the bottom and becomes trapped. Because oil floats on water, the oil goes to the top. Due to this, the tank will begin to corrode from the inside out. When water, rust and oil mix sludge will develop. When tanks corrode leakages happen. The oxidized metal and water can also be drawn into the outlet pipe and mix in with the fuel supply to your furnace. This contamination will damage your furnace and create blockages in filters and valves, leaving you with a large repair or replacement cost. For this reason, it is extremely important to get your tank cleaned out periodically and by a professional. Protect yourself now to avoid environmental problems later. Money spent on the proper cleaning is not money wasted. It is vitally important to your home, peace of mind and potentially the safety of your family. Place your trust in us and contact us today to set up your maintenance plan with periodic inspections. Sit back, relax you can rest assured without worry that we will ensure your safety and the efficient operation of your oil tank. 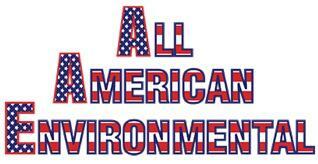 You are in the best hands with All American Environmental. Why should you hire us for oil tank cleaning? Environmentally-friendly: We are committed to protecting the environment and take pains to make sure that our solutions are environmentally-friendly. After a tank is detected, we will remove it and dispose of it in compliance with state regulations. After the installation is complete, we will provide you with the copies of installation receipts, which you are required to submit to the authorities for final approval. Regulatory requirements: We have the expertise and experience in addressing regulatory requirements for oil tank installation. Do you need an oil tank cleaning? Get in touch with us. You can trust us to provide the highest-quality, environmentally friendly and economical cleaning service. Give us a call or send us an email. One of our knowledgeable and friendly oil tank cleaning NJ representatives will be happy to assist you.